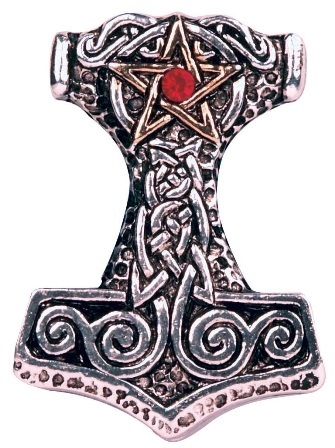 Viewed as a symbol of consecration and divine regal power by the ancient Nordic people this talisman was worn for Strength, Courage, and Success. 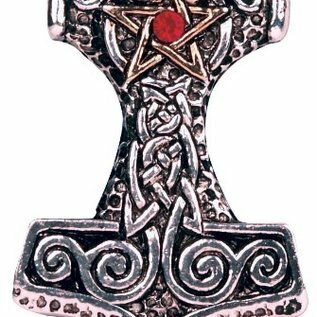 Approximate Size: 11÷4" x 1"
Viewed as a symbol of consecration and divine regal power by the ancient Nordic people this talisman was worn for Strength, Courage, and Success. Finished in gold and silver and embellished with Swarovski crystals. Each piece is supplied with its own chain and is presented in a lined, velvet pouch.